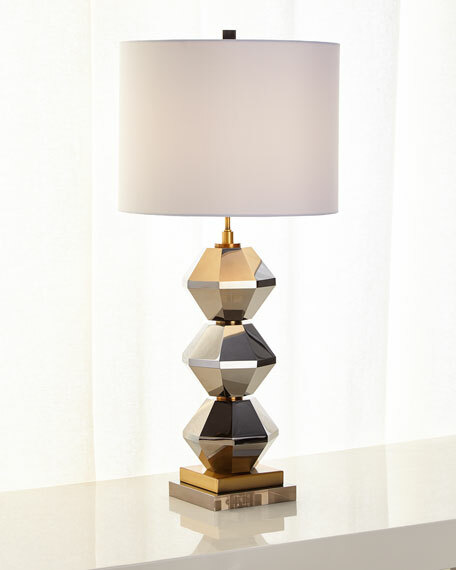 A smoky faceted crystal table lamp with antiqued brass base. Topped with a hardback drum shade in white faux-silk. 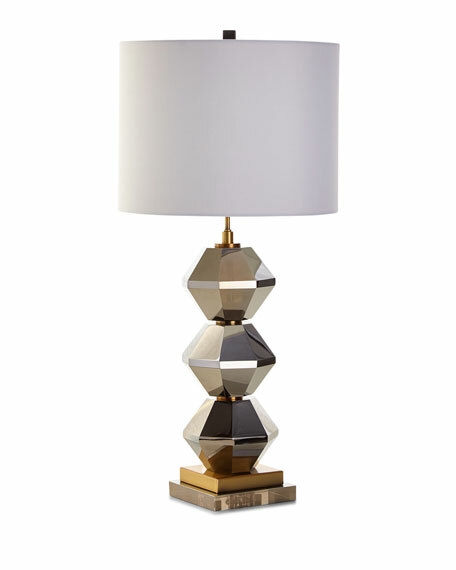 Handcrafted table lamp with faceted crystals at neck. Boxed weight, approximately 31.5 lbs.